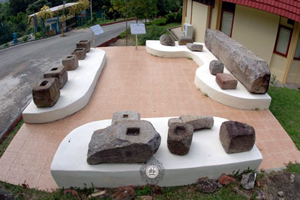 BANGI, 15 Oct 2012 – Archeological sites in Malaysia should be placed under tighter security as precious ancient relics will attract the attention of unscrupulous parties who may take advantage of the discoveries for profit. 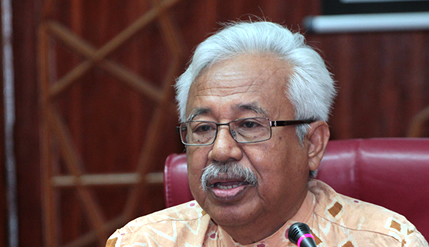 Professor Emeritus Dato’ Dr Nik Hassan Shuhaimi Nik Abdul Rahman said the authorities should be more vigilant against attempts to steal treasures at historic sites, whether on land or at sea. 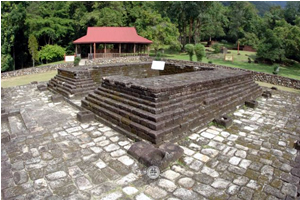 The Principal Research Fellow at the Institute of Malay World and Civilisation (ATMA), The National University of Malaysia (UKM) made ​​the proposal at a two-day International Seminar on Archaeology, History and Culture in the Malay World today. More than 20 researchers from Malaysia and Indonesia presented their findings at the seminar which was opened by ATMA’s Director, Professor Dr Abdul Latif Samian. Prof Nik Hassan Shuhaimi is concerned the historical heritage of the country may be lost to relic hunters willing to take the artifacts abroad without the knowledge of the government. He lamented that although there is already in place agreements and laws on sharing the findings of marine salvage work of all ancient ship-wrecks at sea, they do not guarantee security of items found there. He suggested that divers be forbidden from staying overnight on board of salvage ships but to return to shore whenever work stops. 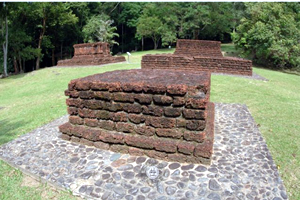 Prof Nik Hassan Shuhaimi was also worried of talks of a gold hoard found at the Bujang Valley archeological site in Kedah in 2009, the area that became the center of the Langkasuka Kingdom over 1,000 years ago. He even saw a picture that supposedly showed gold jewelry allegedly discovered in the Bujang Valley but the find was not substantiated by archaeologists and authorities in the district. Nevertheless archeological diggings should be made more secure as any genuine artifact can be valuable because it is part of the historical heritage of the nation, he said. Prof Nik Hassan Shuhaimi said contributions of archeology, history and culture are very important in the development of a nation. The three disciplines are inter-dependent and cannot be separated from one another. Apart from the benefits to archaeological heritage, history and culture can help bring about self-reliance and economic development. He said history and culture can be used to develop Tourism. He said the best example is that of Malacca. 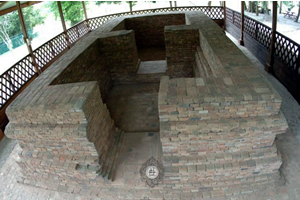 Although there has yet to be found remnants of prehistoric or proto-historic sites, Malacca was able to set up many museums. It also has a rich heritage of Dutch, Portuguese and British architecture. He urged other states that have archaeological and historical heritage sites and rich culture to increase efforts to promote their tourism assets. States with rich historical and archaeological heritage such as Pahang, Perlis, Kedah, Kelantan, Terengganu, Sabah and Sarawak have the potential to benefit from economic programmes. He believes that if Lake Chini in Pahang can be rehabilitated, it can become a tourist attraction.